Our goal is to connect people with the best local experts. We scored home inspectors on more than 25 variables across five categories, and analysed the results to give you a hand-picked list of the best home inspectors in Reno, NV. Acclaimed Inspection Services is a provider of residential property evaluations in Reno. The founder is a licensed general building contractor with more than 30 years of professional experience, and his projects include luxury homes, retail shops, and aviation facilities. The founder is also a commercial pilot and a veteran, who has held a top-secret security clearance during his assignment to the Presidential Honor Guard. Acclaimed Inspection Services brings the core values of integrity and diligence in the process, and it treats all accounts in strict confidence. The team delivers detailed and illustrated reports in a timely manner. Armstrong Inspection Services is a provider of commercial and residential property evaluations in Sparks. The team of professionals strives to give clients peace of mind as they go through the real estate investment process, and it carries out the procedures in accordance with the International Association of Certified Home Inspectors' strict standards. Armstrong Inspection Services gives military, new realtor, multi-unit, and one-year warranty discounts, and some of the covered areas are the foundation's footings and stem walls, chimneys and fireplaces, windows and doors, driveways and walkways, and appliances. Battle Born Inspections is a property evaluator in Reno. The team handles commercial and residential structures, and it uses advanced methods and state-of-the-art equipment to deliver accurate and comprehensive reports. Battle Born Inspections also provides wood and pellet stove certifications, as well as winterizations and de-winterizations, and it is a U.S. Drug Enforcement Agency-approved business for clean-ups of clandestine laboratories of methamphetamine products and other illicit drugs. Celtic Inspection Services is a company in Reno that conducts professional building inspections. The team welcomes different types of clients, such as first-time home buyers and experienced real estate investors, and it strives to bring them peace of mind and the confidence in making decisions. Celtic Inspection Services covers all accessible components and systems of the unit, including the stairs, ceilings, floors, crawlspaces, and plumbing installations, and it delivers the report within 24 hours of the residential property evaluation. The founder is a licensed general contractor with decades of industry experience. Certified Structure Inspector is a provider of home inspection services in Reno. The owner is a licensed, certified, insured, and skilled professional, and his focus areas are commercial, residential, and pool inspections. 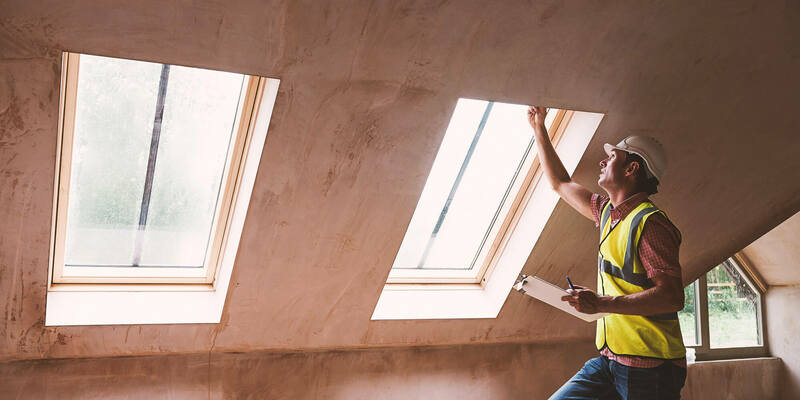 Certified Structure Inspector operates according to the International Association of Certified Home Inspectors' standards of practice and code of ethics, and it enjoys a $10,000 honor guarantee from InterNACHI. The company also engages in energy audits, and the website lists the founder's industry qualifications. D&S Brown Home Inspections is a licensed company in Sparks that is a member of Nevada Association of Certified Real Estate Inspectors. The owner has more than 25 years of professional experience, and the team commits to delivering clear, detailed reports that help buyers, sellers, and owners make sound decisions on their investment. D&S Brown Home Inspections serves clients with property interests in the city, and it also conducts evaluations in Truckee, Reno, Lake Tahoe, Fernley, Carson City, and nearby areas. The website features a gallery and the list of services. Elkhart Inspection Services is a property evaluation provider in Reno that has the slogan, “Precise Inspections. Fast Reports. Detailed Communication.” The team conducts the visual examinations in an accurate and timely manner, and it prepares a thorough and well-written narrative that identifies major defect and threats to the occupants' safety. Elkhart Inspection Services welcomes projects large and small, and it books appointments from Monday to Saturday. The crew caters to clients from Washoe, Storey, Ormsby, Churchill, and Clark counties, and the website features sample reports. High Desert Inspections is a company in Sparks that provides visual examinations of homes. The team aims to protect investments and the occupants by pointing out the property's strengths, weaknesses, and safety hazards, and the covered areas include building exteriors and interiors, roofs, attics, and the heating-cooling system. High Desert Inspections gives a 24-hour speed guarantee on the reports, and the staff supports “the men and women who put their lives on line” for the American people, by giving a 10 percent discount to retired United States Armed Forces servicemembers. JAV Estimating Services is a company in Reno that engages in home inspections and building consulting. The team caters to clients with properties or investment prospects in the city, and it also conducts evaluations in Las Vegas, Henderson, Incline Village, and other Nevada communities. JAV Estimating Services also provides litigation support, and it acts as an expert witness in mediation, arbitration, and court cases. The fee is $250 for a home measuring 1,000 square feet or less, and a sample report appears on the website. NEV-CAL Home Inspections is a company in Reno that reviews and evaluates residential and light commercial buildings. The business opened in 1988, and the founder has decades of experience in the remodeling space. NEV-CAL Home Inspections is an affiliate member of Reno-Sparks Association of Realtors and Tahoe Sierra Board of Realtors, and all inspectors hold certifications from the American Society of Home Inspectors. The evaluation types are standard home, manufactured home, pre-listing, and Washoe County-certified wood stove inspections. Rea Inspection Services is a company in Reno that provides visual examinations for residential and commercial properties. The team delivers the honest, detailed, and competitively priced reports in a timely manner, and some of the services are structural, heating and air conditioning, fireplace and chimney, wood-destroying pest inspections. Rea Inspection Services carries out the evaluations across Northern Nevada, and it also offers wood and pellet certifications with Washoe County Health Department approval. The building types include single and multi-unit environments, and the staff offers flexible scheduling and payment options. Redmon Home Inspection Services is a company in Reno that holds a certification from the Federal Emergency Management Agency. The founders are a husband-and-wife team with more than 20 years of experience in the insurance and construction industries, and they are members of the American Society of Home Inspectors and Nevada Association of Certified Real Estate Inspectors. Redmon Home Inspection Services delivers the comprehensive, easy-to-read reports on the same day as the evaluation, and the crew accommodates weekend appointments. Sierra Nevada Home Inspections is a company in Sparks that covers all of Northern Nevada. The crew helps individuals, couples, families, and investors buy and sell real estate property with confidence, and some of the services are residential structural inspections and homeowner maintenance consulting. Sierra Nevada Home Inspections supports United States Armed Forces personnel, and clients can call or send an e-mail to ask for the current prices and specials. The reports come with full-color digital photos that show the problem areas. Weintz Inspection Services is a company in Reno that reviews and evaluates the physical condition of residential and commercial properties. The owner is a certified residential inspector with more than 25 years of experience in the construction industry, and he is a member of the International Association of Certified Home Inspectors. Weintz Inspection Services provides the visual examinations for new and existing real estate, and it also offers construction consulting, as well as inspection coordination with pest control and fireplace specialists.